The countdown to MSC Bellissima is on! It’s now less than 100 days until 2 March 2019 when MSC Cruises’ newest ship MSC Bellissima will be christened in Southampton. 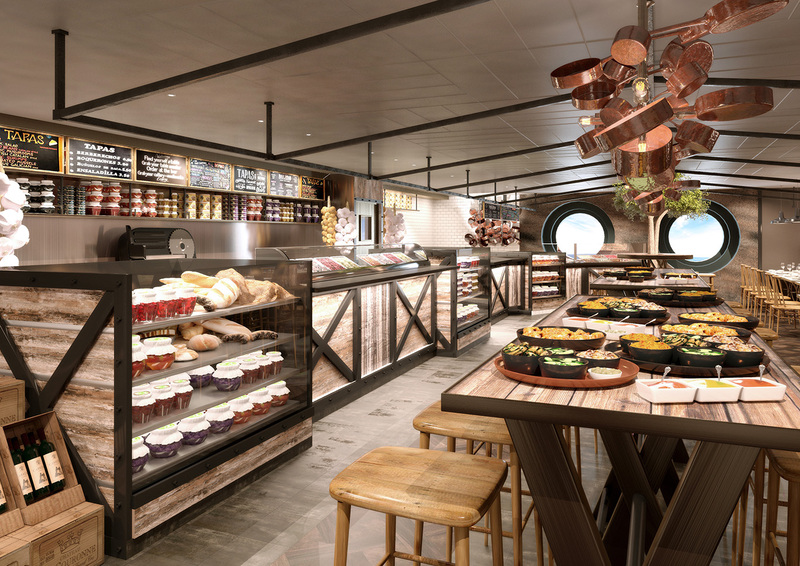 And to help build our excitement even further, MSC Cruises has revealed some new details about what guests can expect from their 5,686-guest ship. The main announcement is that ZOE – the world’s first virtual personal cruise assistant – is ready to be rolled out across Bellissima and will be fitted in every cabin. Got a question about your cruise? Ask ZOE. It’s similar to Amazon’s Alexa but less noticeably evil. Ramon Freixa, the two-Michelin Star winning chef, who debuted his first restaurant at sea on MSC Seaview is bringing a brand-new restaurant to Bellissima. HOLA! Tapas Bar has been designed as social, dining experience where guests can enjoy shared plates and a wonderful celebration of the Mediterranean way of life. Freixa explains: “I want guests to enjoy a true taste of Spain through appetising tapas and a cheerful bar atmosphere. And, for all you who love a trip to the circus, Bellissima will be the second MSC Cruises ship to feature Cirque du Soleil at Sea, with two brand-new shows been designed exclusively for MSC Cruises. We can’t wait to see what they have in store. Plus, all of this is without mentioning the brand new Grand Canyon theme for the aqua park with three exhilarating water slides to a full-size bowling alley, F1 simulator and XD cinema, there is fun and interactive entertainment for guests of all ages.